The cache is a 5ml tube but is NOT at the published coordinates so please dont go climbing all over it. Visit the waypoint which is the village sign and answer a question to find the coordinates of the cache. 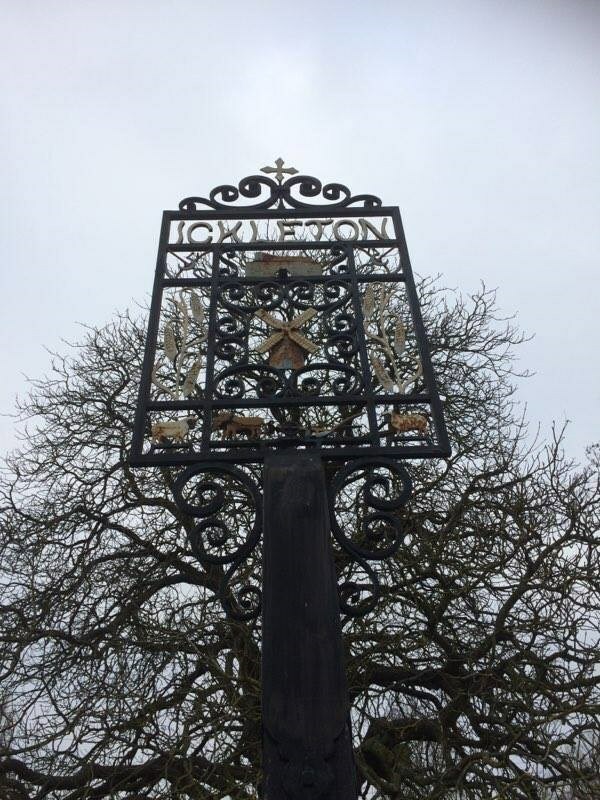 Ickleton is a village and civil parish about 9 miles south of Cambridge in Cambridgeshire, England. The village is beside the River Cam, close to where a southern branch of the Icknield Way crossed the river. The eastern and southern boundaries of the parish form part of the county boundary with Essex, and the Essex town of Saffron Walden is only about 4.5 miles southeast of the village. The village is mainly grouped around three streets: Abbey Street, Frogge Street, and Church Street, which leads into Brookhampton Street. The village is at the eastern end of its parish, which extends 2 miles to the west. Village signs is a series of caches based on the ornate signs that depict the heritage, history and culture of the villages that put them up (normally on the village green!). The cache is a short drive from the village sign so please do not go climbing all over it!